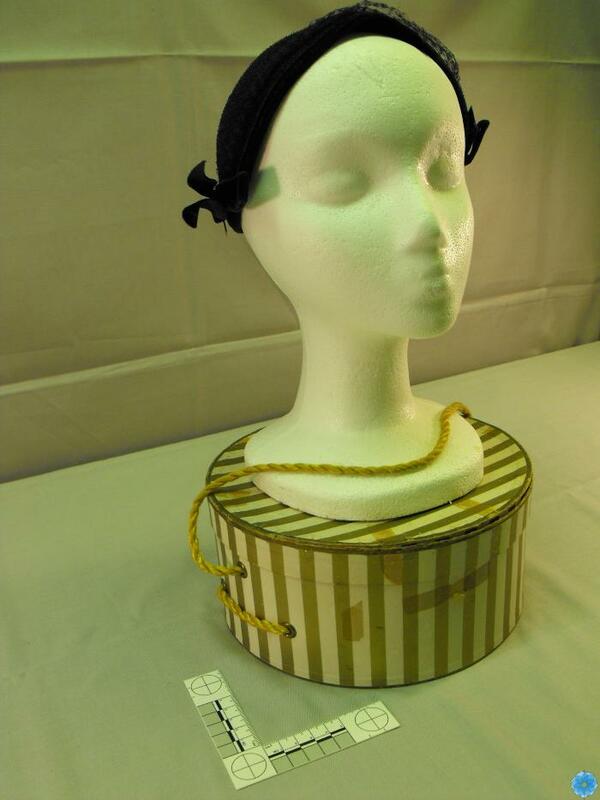 Description: 1950's 1/2 shaped arch, ladies hat, dyed navy blue with bows over persons ears. A veil, would have been pulled over forehead to eye brows. Elastic band in hat would be under the back of your hair and behind the ears, to hold the hat in place.